Our world is constantly bombarding us with new information – products on TV, music on the radio, ads while surfing the internet. And trends show that this method actually works so why no use it for your educational advantage! Create a 24-hour learning environment by putting up review charts and points where you can see them daily – on mirrors, doors, fridge, bathroom, television, or bedside table. Even putting a few definitions on sticky notes which are placed on your monitor at work will have you constantly looking at them while you are working which will help the definition stick in your mind. If possible, even look at purchasing a white board and dry erase markers, so you can test your recall by reproducing the mind maps which you can use to chart out the information from a chapter in a visual format. Many dollar stores even sell large poster paper which can be used for the same purpose. As well, use bright-colored markers, include images when making your notes can help to trigger your memory and most of all, have fun. 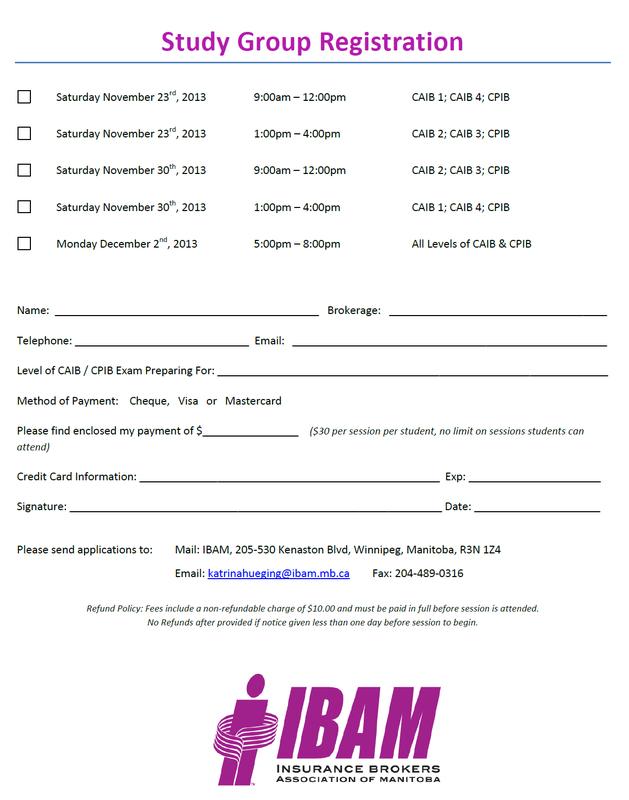 Looking for individual help preparing for the CAIB or CPIB exams? IBAM is hosting informal study groups building up to the December 2013 exam sitting. Contact the IBAM office for more information on how to register.